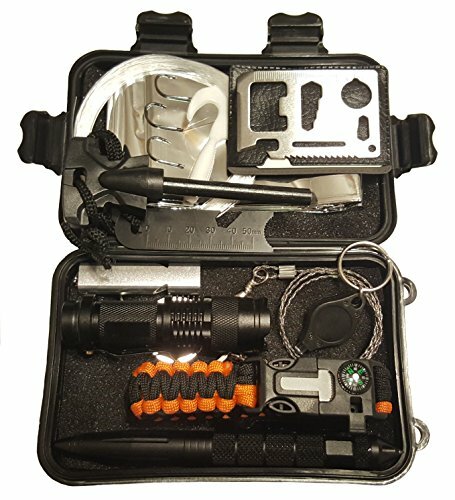 CONTENTS – Tactical Pen, Flashlight, Whistle, Emergency Blanket, Key Chain Flashlight, Fishing Kit, Pocket Saw, Multi-Function Rescue Card, Fire Striker, 5-in-1 Para-cord Bracelet with built in Compass/Whistle/Fire Striker. ALWAYS BE PREPARED – Be ready when a disaster strikes. You never know when something could happen. Be the hero and prepare yourself today. COMPACT – Small enough to keep in a bug-out-bag, glove compartment, a drawer in your home, a compartment on your boat or in an office desk. 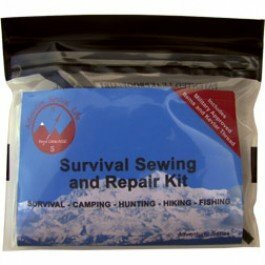 26 in 1 OUTDOOR SURVIVAL TOOL – In this one tactical survival kit, you get 26 practical tools for your trips, survival in the wilderness, military backpack and disaster management. 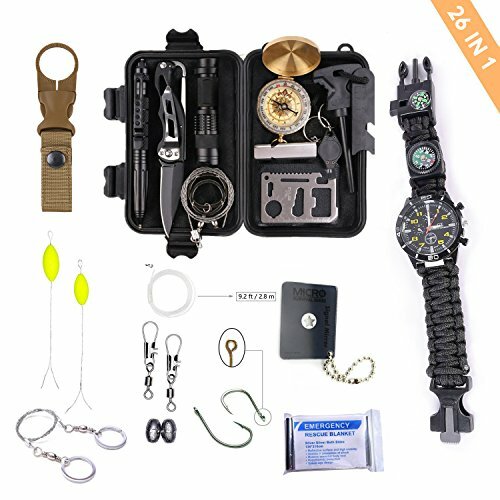 This kit contains tactical survival knife, emergency blanket, compass, flint stone or fire maker, led flashlight, whistle, wire saw and survival bracelet watch, among other professional survival tools. CONVENIENT COMPACT FOR TRAVEL – The 26 multifunctional Crystal survival tools comes in a compact case to pack for light travelling. 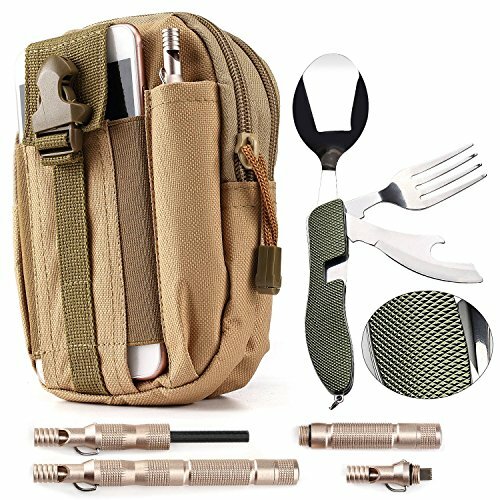 It has wallet knife and its ideal for road trips, camping gear, hiking backpack, earthquakes, outdoor trips, travelling and natural disasters, even a zombie apocalypse! BE PREPARED FOR ALL EMERGENCIES – The Crystal tactical military survival kit will prepare you for all emergencies. The 26 tools will have unlimited uses for shelter, shade, emergency signalling including Morse code, keeping dry, starting fire, lighting deals, camping gear box for everyday use etc. 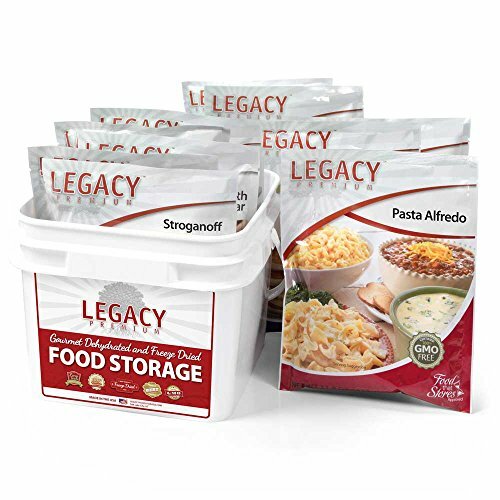 72-HOUR SUSTAINABILITY FOR FOUR PEOPLE – With this premium family emergency bag, you’ll have all the supplies needed for 72 hours of survivial for four people, including a premium Sawyer Squeeze water filtration system, a portable stove, food and more. SUPERIOR QUALITY SUPPLIES – All of the items provided in your emergency go bag are premium. 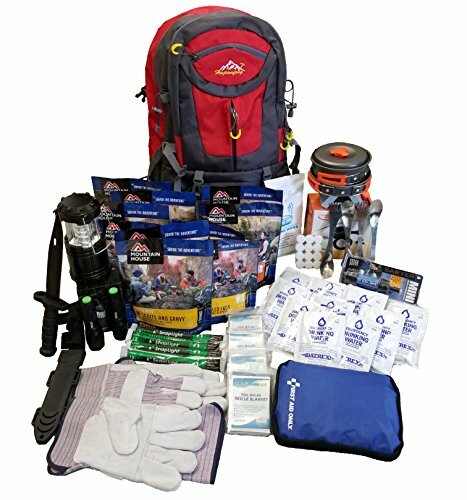 All items included: 1 Large premium backpack, 24 Mountain House food servings, 24 Packets of Datrex water packs, 1 Sawyer Mini Water Filter, 4 Emergency SnapLights, 2 LED lanterns, 2 Bright Flashlights, 1 fully stocked First Aid Kit (with 299 pieces), 4 emergency blankets, 8 bath wipes in package, 1 portable stove, 2 pair gloves, 1 survival knife, 1 fire starter, 6 fuel tablets, and 4 utensils. 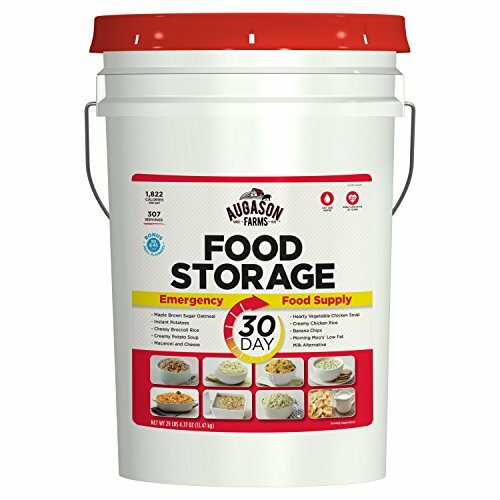 ALL YOU NEED IN ONE PLACE – With this emergency go kit, you’ll have the peace of mind that your family has all the premium supplies needed for survival during an emergency. Save yourself hours of searching for individual products and money from purchasing them seperately with one bag that’s ready to go. 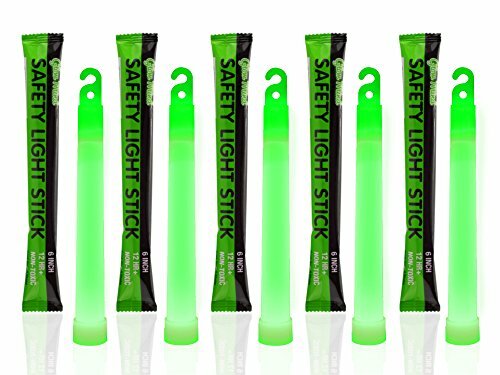 PERFECT FOR EMERGENCIES, BLACKOUTS, SURVIVAL KITS, CAMPING AND PARTIES – These green light sticks have so many different uses that make them a must have item. You will be amazed with how useful they are when you’ll need them. You can also take them for fishing/hunting/boating trips or give them to your child for their night’s party. PREMIUM QUALITY, SUPER BRIGHT AND LONGER LASTING (+12 HOURS) – Some customers say they are so bright you wouldn’t want to look directly at them for the first half hour. They will provide the light power you need, when you need it most. And the best thing is that they last for 12 hours, which is 50% more than the regular 8 hours light sticks out there. 4 YEARS SHELF LIFE, GREAT VALUE PACK – Manufactured under strict quality guidelines, these glow sticks will work in years to come. It’s a set and forget, maintenance free item. don’t settle for anything for less. 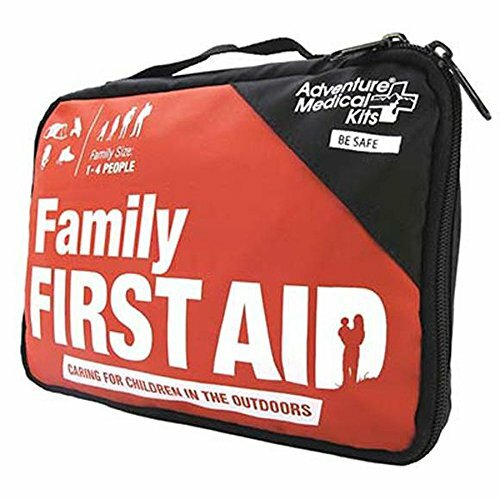 Designed for four family members on trips from 1-4 days. . —covers how to treat sprains, fractures, and dislocations, plus handy guides on how to administer medications and how to dress more serious wounds. 1 fabric adhesive bandage, 2 x 4.5 in. ; 2 sterile, nonadhesive bandages, 2 x 3 in. ; 4 fabric adhesive knuckle bandages; 12 plastic adhesive bandages, 3/8 x 1 1/2 in. ; 4 butterfly closure bandages; 16 fabric adhesive bandages, 1 x 3 in. ; 4 (2 per pkg.) sterile gauze dressing, 4 x 4 in.. 1 pair nitrile gloves, hand wipe. 1 pre-cut/shaped moleskin (11 pieces). 1 cold pack, 1 elastic bandage with clips, 2 in.. 2 disposable thermometers, 2 safety pins, 1 blunt-tip bandage scissors, 1 splinter picker/tick remover forceps. 3 (2 per pkg.) acetaminophen (500 mg), 3 antihistamine (diphenhydramine 25 mg), 3 (2 per pkg.) ibuprofen (200 mg). SIMPLE TUNER with SUPERIOR RECEPTION: Equipped with an LED tuning indicator, telescopic antenna (extends to 14 inches), and powerful digital tuning chip, dialing in and keeping your favorite station will be a breeze. Great for kids up to the elderly. 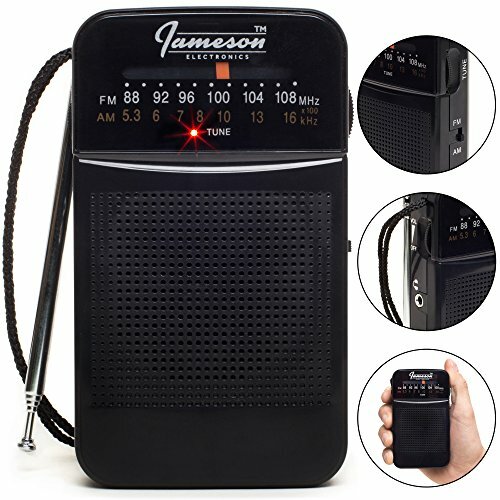 LONGEST-LASTING PERFORMANCE: Powered by (2) AA batteries (not included) this energy-efficient and high quality analog radio will provide countless hours of enjoyment. Be a good eco-friendly listener and fill your radio with rechargeable batteries. Includes Military approved items, such as Kevlar Thread, Type 1A Utility Cord, and a Derma Safe utility knife. 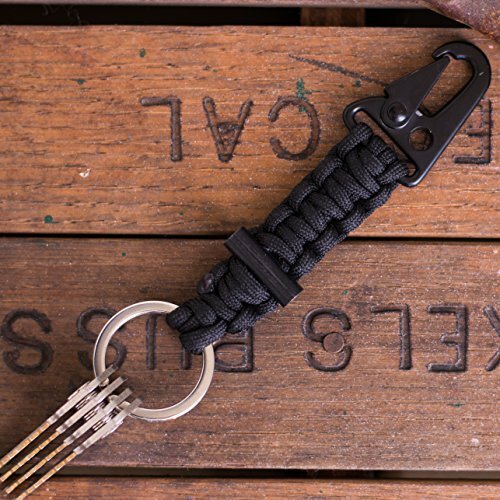 ✔ RAISED OVER $500,000 ON KICKSTARTER – The Bomber Firestarter Paracord Keychain is the Perfect Companion for the Gentleman, the Adventurer, the Bold. ✔ MILITARY GRADE – We manufacture our paracord to military standards using 100% Nylon – Type III. ✔ MADE FOR SURVIVAL – Emergency paracord and firestarter ensures that you ALWAYS have the essentials for any survival situation. 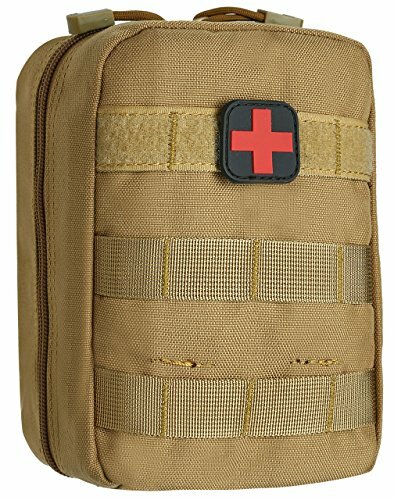 MILITARY CANVAS POUCH: This pouch is great to carry with you while hiking camping, or biking through the trails, in case you need to stay the night somewhere and start a fire. It is lightweight and durable, with a slot for your phone. FOLDING UTENSILS: This is a four in one multitool, with a knife, fork, spoon and bottle opener. It’s lightweight and sturdy, made from stainless steel, and designed to fit in your pocket. MAGNESIUM & FLINT FIRE STARTER: This small pencil sized stick contains magnesium and flint, which when scraped together create sparks, in turn creating fire. It’s great to have on you whcn camping or hiking.